Rachel has been dancing since age 5 and has been performing in musical theatre since age 13. 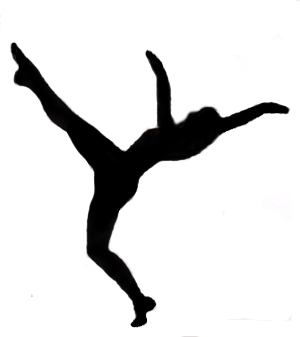 She has studied jazz, ballet, modern, tap, hip-hop, and folk dance. In addition to choreographing for the dance stage, Rachel has also choreographed for competitive roller and ice skaters and for the musical theatre stage. In 2003, she graduated from San José State University in California with a Bachelor of Arts degree in Dance with a minor in Musical Theatre. There she earned the Haws Award for Excellence in Performance. In October 2010, Rachel began her Pilates training through Studio Praxis in Montreal, QC. She successfully completed the training and examination to become a STOTT PILATES® Certified Instructor for Matwork, Levels 1 & 2 (Essential/Intermediate & Advanced) and earned her full STOTT PILATES® certification in June 2013 (with an impressive 97% score!). In February 2012, she completed the GROOVEmethod™ Instructor training course! Her Montreal teaching and choreography credits include Powell School of Dance, Broadway Academy Westmount, La Vie en Mouvement (ensemble La Fantaisie), and Ballet Allegro International. She is available for choreography, including wedding first dances, and for teaching workshops. Please contact Cadance for rates. She is also a Pilates instructor at Studio Espace Pilates and Pilates Bois Franc and is a barre fitness instructor at Les Studios. She can train you in a private or semi-private lesson or in group classes; book your class or appointment with Rachel at Studio Espace Pilates (Plateau Mont-Royal), Pilates Bois Franc (Ville St-Laurent), or at Les Studios (Quartier des Spectacles).